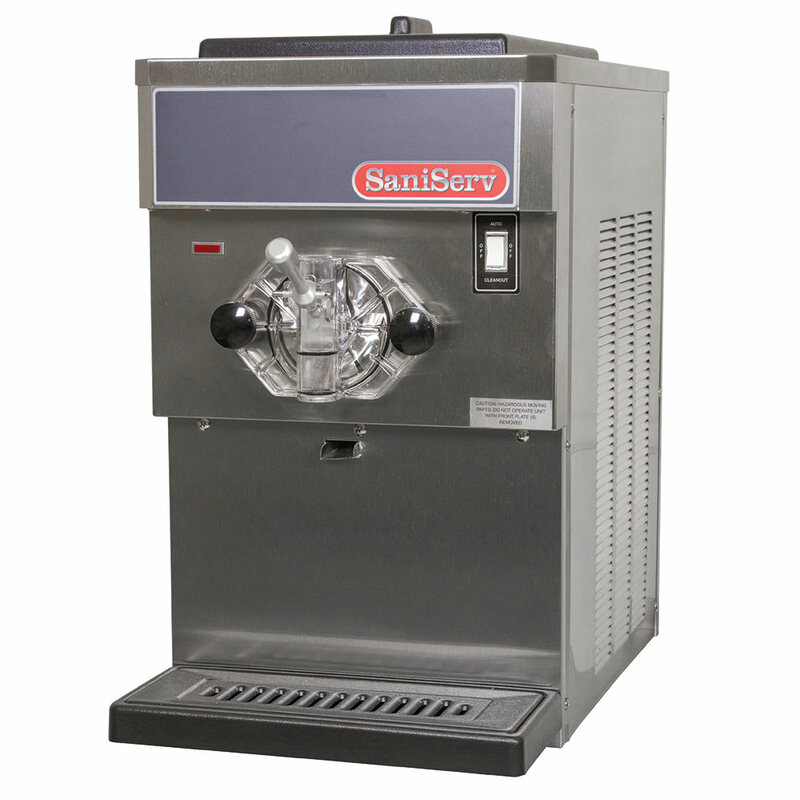 This SaniServ 601 T milkshake freezer is built with fewer removable parts than industry standard machines, making it easier to keep clean and sanitary. Its 20-quart capacity is designed to deliver high volume of products within a small footprint that's only 17 inches wide. The machine's solid-state AccuFreeze system ensures that your products stay frozen to the precise desired consistency. This cabinet's exterior and frame are each built with long-lasting stainless steel. The SaniServe 601 machine's dasher is also built with stainless steel and fitted with a low-friction scraper blade that keeps products consistently mixed and chilled. This SaniServe shake machine's air-cooled refrigeration system circulates R404A refrigerant using a 1-HP compressor motor. It includes the option of being connected to a water-cooled system via a 3⁄4-inch garden hose fitting. The CTS is included in this price and required to activate manufacturer's warranty. Representative will inspect the unit for proper installation (uncrate & set in place with electrical connections arranged by end-user prior to scheduled CTS), representative will instruct end-user on proper operating & cleaning procedures including start-up with product (product to be supplied by end-user).